I can't really believe that I've turned into one of those once-a-month bloggers, but here it is, almost a whole 4 weeks since I wrote about anything. Life is a maze of homemade breakfasts, lunches, and dinners; at the end of the day I have no idea how food appears in a finished form and is completely cleaned up after. As I slink into bed, I'm fast asleep before I can make it 2 pages into a book. For the past several years, the first day of school coincided with my birthday. I am actually never full of birthday dread, but I kind of started feeling a sense of dread that first year I had to drop my oldest son (now 8) off for school. I hated the idea of him leaving home, but also knew it was time. After the first pre-K and kindergarten years, I actually started looking forward to the first day of school and more free time to myself. The time to make laborious Daring Baker challenges. The time to make whatever struck me as I drank my morning joe and caught up on the Internet. The time to take myself out for coffee once in awhile and actually read in peace and quiet. This year on my birthday, instead of extra free time, I became his teacher. I sat with him at the kitchen table after his first homeschool lesson at my counter, one on how to make ice cream base (and other egg based custards)... because when I am intrepid of starting something, I start by doing something I know. And you know what? I realized that I know more than I think I do, and that he wants to learn as eagerly I always have and had always hoped he would. He learned that eggs are really amazing things, that they can thicken things like ice cream when heated. He learned the meaning of the word tempering, and got to see that happen. It felt nice to see him barefooted and excited for the impending ice cream later that day as he took the first steps into learning at home. 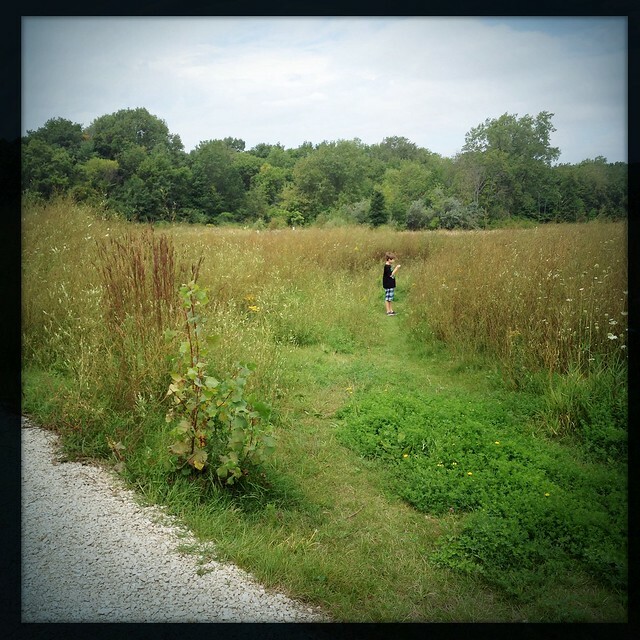 Later, we spent the morning in the field nearby discovering insects and admiring the weather. Something happened that I wasn't expecting: I went from that person happy to have all the time in the world to myself to the one who actually enjoyed spending time with her kid again. It is so easy to drop him off somewhere and not take an active part in his life other than to be occasionally annoyed when he doesn't listen or doesn't pick up his Legos after the millionth time I've stepped on one. It is a true pleasure to consider all of my actions as they affect him (and his little brother), to improve on my patience, and turn my daily life into a learning experience for him. It's only been a week, but so far it's the best week I can remember in a long time. Maybe this doesn't leave the free time to myself as I've had in the past. I got behind on using milk kefir and popped my culture in the fridge for the week to rest. 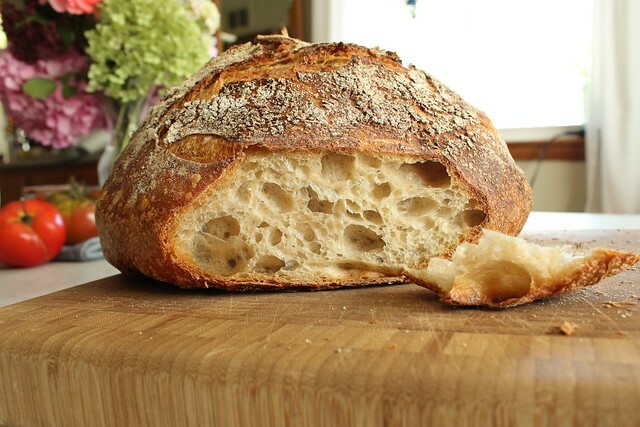 My sourdough starter took on a perplexing ailment about a week and half ago and I patiently nursed it back, wondering all the while if I'd have to begin again from scratch. I thought it had been infected by a wandering mold spore, or cross contaminated by the kefir. It didn't look or act like itself until I decided to bake anyway using the insurance of a bit of commercial yeast. The very next day, the starter looked better: active and bubbly, sweet smelling. Like it just knew that I was going to get serious if it didn't behave. Just like a real boy. More than a week ago, I decided to make my new favorite granola - a gift to myself for my birthday. Ever since I first had it, the Bojon Gourmet's Gingersnap Granola has been my absolute favorite indulgence. I actually didn't make it for quite a long time because I can't stop eating it. 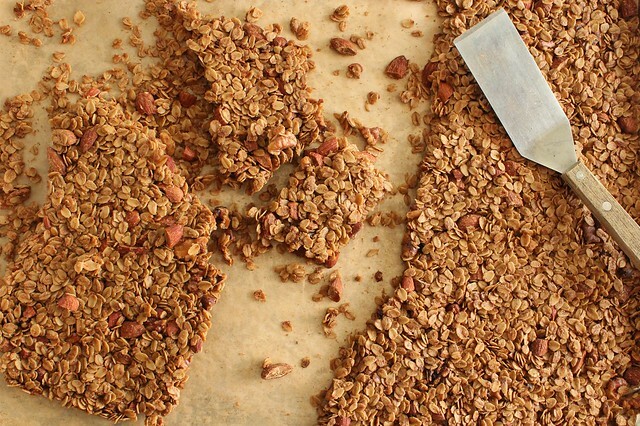 Some time ago, I saw America's Test Kitchen make an almond granola that had similar clumping power and I figured I could combine the two recipes and come out with a bigger batch of similarly addictive gingery granola. It's been on my mental list of things to write about for a while now, and I guess this Saturday off inspires me to get it down before it is lost to time once again. Don't forget to line the sheet pan with parchment or you will not have attractive clumps after you chisel your way to the bottom of the pan. I only forgot once, as you can imagine. Ordinarily, I don't like to have sugar in granola, but this I consider dessert so the small amount doesn't bother me. In fact, if you have some of this on fresh, homemade ice cream (maybe even this new buttermilk version that Alanna made?) it's about the best dessert ever. In a large bowl, toss the oats with the spices and chopped almonds. In a 2-cup measure or equivalent, whisk maple syrup, brown sugar, vanilla, and salt until well blended, then whisk in oil. Pour the liquid mixture over the oats until thoroughly coated. Transfer oat mixture to prepared baking sheet and spread across sheet into thin, even layer (this amount makes one standard 18x13 or 17x12 sheet pan). Using a makeshift tamper (I like to use the Scottish potato masher my parents gave me, but a meat mallet or even a heavy glass would also work), compress oat mixture until very compact by tapping it into place on the pan. Bake until lightly browned, 40 to 45 minutes, rotating pan once halfway through baking. Remove granola from oven and cool on wire rack to room temperature, about 1 hour. 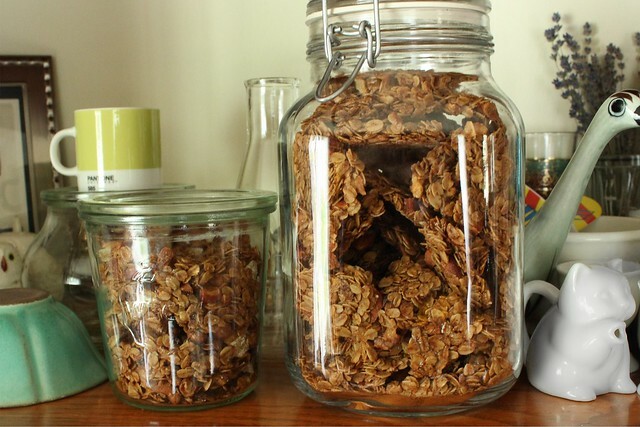 Break cooled granola into pieces of desired size. It's maybe a little less decadent by using almonds instead of pecans, but the more utilitarian nut makes it something I can make on a whim instead of only on occasion since I always have almonds in the pantry but not always pecans. My kitchen life seems to be changing again for now. Things get done in a more utilitarian way, with plenty of attention to detail (since there is no removing that from my being) but maybe with less flourish. Most mornings I seem to prep my dinner before the breakfast dishes are even cleared which is a dramatic change for me. I find myself thinking like my great-grandmother, Gram and no doubt my Mom did, planning the next meal (or even the next several) when the current one is still on my lips. But that's what you do when you do it from scratch. I'm imagining when I have the time to write again, I'll probably have some helpful tips for quick scratch cooking!